Julie Anglin is the Desk Officer for Colombia and Panama in the International Trade Administration’s Office of South America. The tariff rate on many U.S. goods sold in Colombia has gone down dramatically since the trade agreement took effect. The U.S.-Colombia Trade Promotion Agreement – commonly called the “Colombia TPA” – took effect one year ago on May 15, 2012. Prior to the TPA’s entry into force, the average Colombian tariff rate on U.S. industrial goods was higher than 10 percent. Today, the average Colombian tariff on these goods has fallen to only 3.4 percent. That’s a tremendous benefit for U.S. exporters, as it helps them compete on a more level playing field in the Colombian market. U.S. farmers see even greater benefit, as more than half of current U.S. farm exports to Colombia are now duty-free. The TPA includes commitments on strengthened protections for intellectual property rights benefiting American creators and innovators, as well as commitments opening Colombia’s $166 billion services market. U.S. exporters are taking notice. Since the Colombia TPA has been in place, U.S. exports to Colombia are up 19 percent, compared to the same period the previous year. U.S. companies are now well-situated to participate in numerous Colombian infrastructure projects to be undertaken in the next four years, valued at $26 billion. In fact, Acting Secretary Rebecca Blank is in Colombia right now, leading a trade mission of 20 U.S. companies seeking to learn more about upcoming airport, seaport, rail, highway, and mass transit upgrades. For a country that already appreciates the value proposition of U.S. goods and services, the TPA now allows U.S companies to be even more competitive in this fast-growing market. 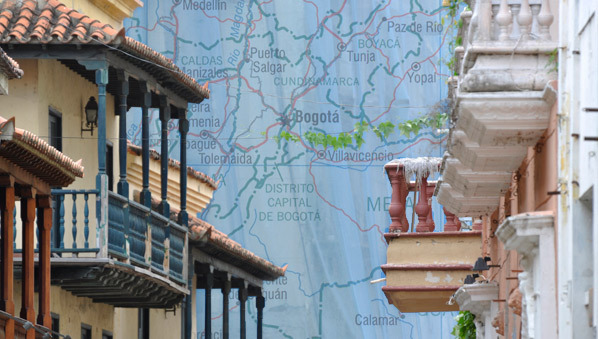 Colombia’s economy is forecast to grow 4.1 percent in 2013, and 4.5 percent annually on average from 2014 to 2018. A web-based resource created by the International Trade Administration, the FTA Tariff Tool, is a great way to see the tariff elimination or reduction for your product under the agreement. To ensure that your company’s product will benefit under the agreement, you will also need to determine that the product meets one of the rules of origin criteria in the Colombia TPA and claim this when importing. You can contact an Export Assistance Center for help with this. And sometimes, despite the trading partner’s best endeavors to implement trade agreements correctly, U.S. exporters and investors can encounter problems. The International Trade Administration’s Trade Agreements Compliance Program can help sort out market access problems arising from foreign government-imposed trade barriers. Report a trade barrier at www.trade.gov/tcc. For more information, you can also contact your local Export Assistance Center. You can also find more facts about our trade relationship on our website.